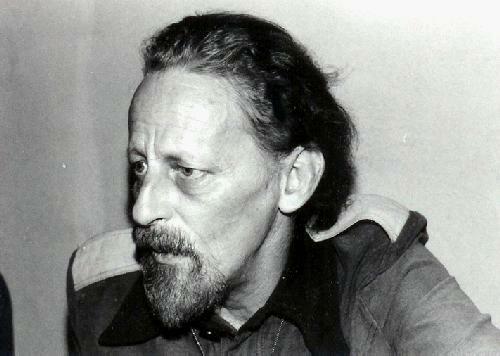 This entry was posted in Poor Trufan's Almanack and tagged John Hertz, Theodore Sturgeon by Mike Glyer. Bookmark the permalink. Someone needs to do a proper evaluation of Sturgeon as a queer writer, I think, among the many things he was. I recall talking to Larry Janifer about Sturgeon and how he upset a few marriages in the 1950’s when he lived in New York by seducing the husbands. The title slips my mind, but Sturgeon had a short story in Paul Krassner’s THE BEST OF THE REALIST that was not in his “complete” collection”. John quotes from the Harlan Ellison introduction to volume 11, and it’s a favorable quote, but overall that is an extremely ungenerous essay, with Ellison saying he felt required to tell the ugly truths about Sturgeon that no one else was saying in their introductions. I don’t remember anything of what he said, and I’ll never read it again. Clute says that Sturgeon’s stories give off a sense that something terrible happened….. I don’t know what Clute was seeing, but Argyll is a memoir by Sturgeon about his horribly abusive father. I just reread The Dreaming Jewels and it’s got an utterly harrowing description of workplace harassment that I didn’t even notice when I was a kid. I noticed the jewels in the dark, and the kid eating ants, and the guitar playing…. I wouldn’t presume to say what Sturgeon was fundamentally talking about. People used to say Sturgeon knew all about love and I was never sure about that– but he did seem to be an expert on hate. I do recommend reading or rereading more Sturgeon. “The Man Who Lost the Sea” was not the first science fiction in BEST AMERICAN SHORT STORIES. Judith Merril’s “Dead Center” (F&SF, November 1954) made the cut five years earlier. And that may not be the earliest one, either. I once scoured the index and found another mid-50s pulp SF story, but I’ve forgotten what it was and I don’t feel like doing the search again. Kind of irks me that Ray Palmer has had two biographies about him and his work, and Sturgeon has none. About a decade ago I wrote a 30,000 word biographical/critical essay about Ted Sturgeon, written with one of Bruce Gillespie’s blockbuster fanzines in mind. Sturgeon stated in Argyll that he lost his virginity as teenager to his secretly gay doctor’s boyfriend when he was briefly left in the doctor’s care while Sturgeon’s family was elsewhere. Something I didn’t include because it was the very vaguest of rumours was that Sturgeon may have been a male prostitute at some point. On at least one occasion the rumour was so garbled I wondered if it wasn’t an overwhelming misunderstanding and misremembering of the above. Certainly Sturgeon was very keen on Kinsey’s revelations about the prevalences of gradations of bisexuality. George P. Elliott had several stories in Foley’s anthologies, and some of them, including I think “The NRACP”, were reprinted in F&SF. Could that be what you’re thinking of? Or something similar? Thomas Disch, in The Dreams Our Stuff Is Made Of, wrote about being propositioned by Sturgeon and his wife at some point… and then proceeded to say absolutely nothing about Sturgeon’s writing. That was my first big clue (though hardly the only one) that that wasn’t going to be the kind of book I had hoped. Chip Delany wrote in his FB page that Sturgeon hit on him. There must be a lot of stories not generally known. Every now and then, I prod people to read Sturgeon’s “Mr. Costello, Hero”– it’s the one about a man who creates divisions among people. He gets some fraction of what he deserves. It was written when Sturgeon was distracted by Joe McCarthy, and it keeps getting more relevant. Unfortunately, the original text isn’t easy to find online, and the audio version is considerably different. My only disagreement with Vonnegut and “Kilgore Trout” is that Kilgore Trout was an abysmal pornographer and hack, which Sturgeon never was. Vonnegut is closer to being Kilgore Trout than anyone else.